Yesterday we told you about the discounted 8GB iPhone 4 from Rogers, now available for $0 on a three year term (they matched a previous Telus offer). With this promo, it makes your iPhone 4 ‘deal’ (note it’s in quotes) even ‘sweeter’ but you have to act quickly. 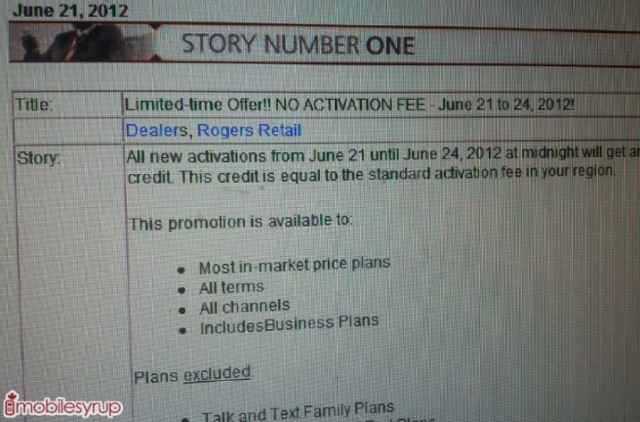 Update 1: looks like Bell and Telus have also waived the activation fee as part of ongoing promos.